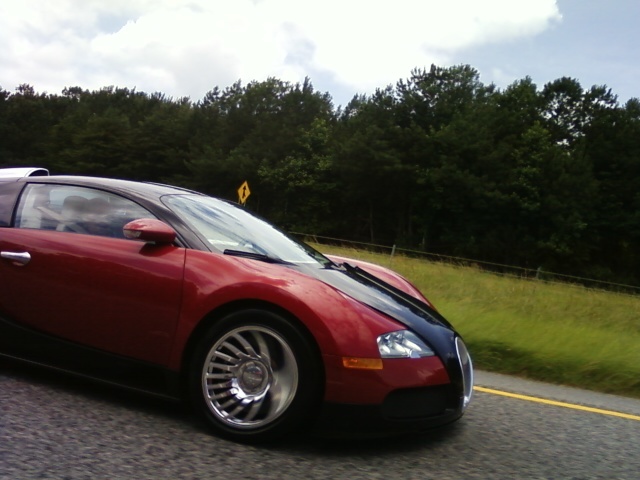 I saw this car once a few months ago headed down GA400 (north of Atlanta). I thought, must be a Falcon's player or something. They cost over $1.4M and are only making 300 for wold wide production. I figured I'd never see the car again. 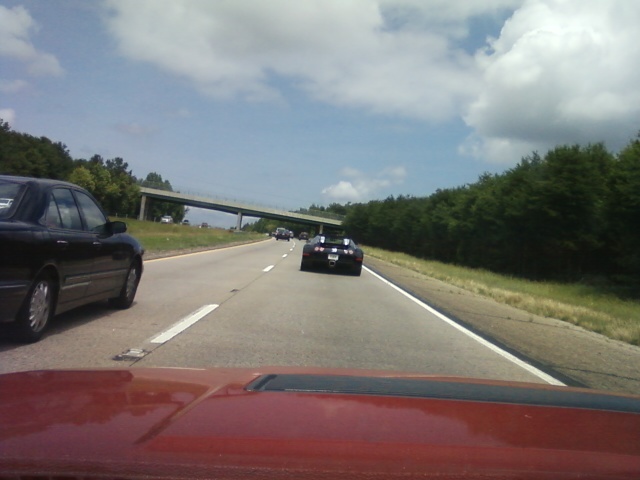 Then headed up GA400 on my way to a friend's I see this odd thing coming down a ramp. 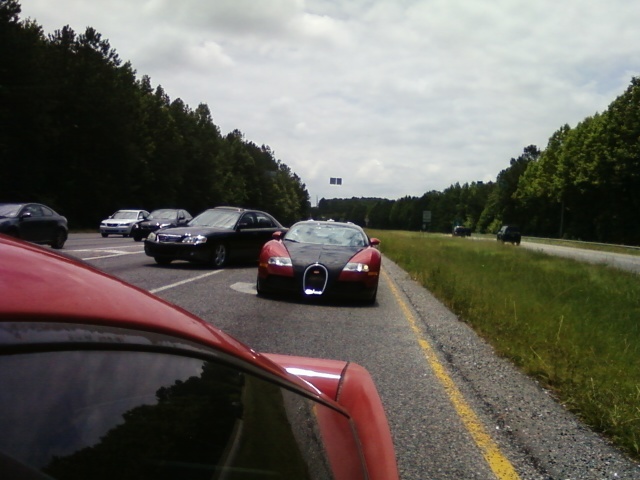 Could it be the Bugatti? Yup. I'm kind of impressed with the image stabilization in my phone's camera. 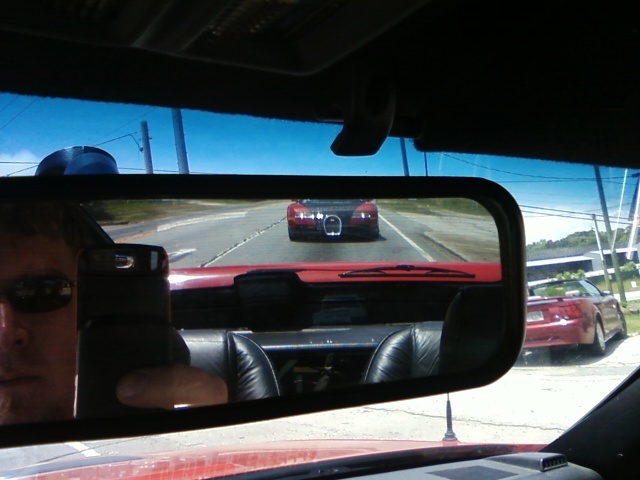 And, Oh Hell Yeah, That's Right, Bugatti in the rear view mirror of a Dodge Daytona! 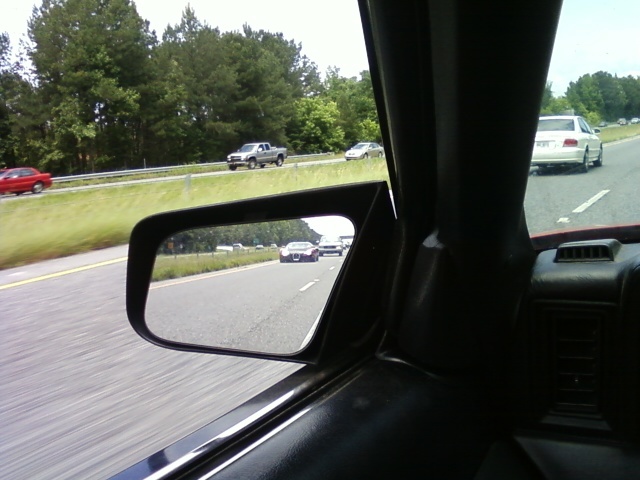 Another priceless rear view mirror shot.